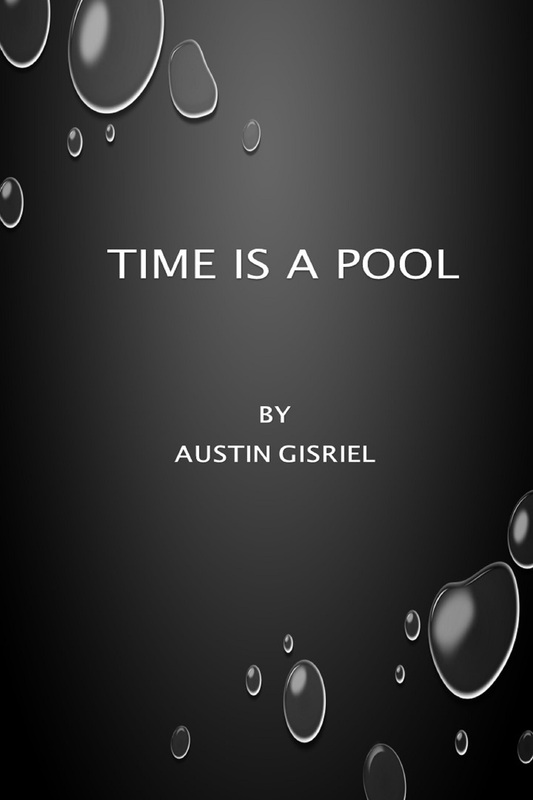 Time Is A Pool: A New Book from Me! I am happy to announce that Time Is A Pool, a 10-story collection of flash fiction, is now available in paperback and as an e-book. These stories have appeared in this blog under the “Five Minute Fiction For Free” category, but now that I’m charging you for them, they have been taken down from this site. The paperback is available from Amazon for $3.99 (+ shipping) and the e-book is available for a Kindle here and for other e-readers here at $.99. You can also check the catalogue of your favorite e-reader. If you don’t have an e-reader, you can download one to your computer for free by following the “Read On Any Device” link which appears under the photo of the book cover on the book’s Kindle page. I have a limited number of copies on hand. If you would like to reserve one, simply let me know in the comments below or contact me in any way that suits. Just let me know how you would like me to inscribe it. If you purchase it and like it, please remember to leave a review! If you purchase it and don’t like it . . . well, hey, it was cheap. I mean, inexpensive. What’s not to like? This is a great book for bedtime reading or to tuck in your purse or pocket to read in the doctor’s office, or on the metro, or at Junior’s 8th grade chorus performance. (Let’s face it, one parent to another: Once you’re finished videoing your kid, not that the video is going to be anything but a shaky, blurred mess, you’re pretty much ready to go. I digress . . .) Most of the stories can be read in five minutes or less, but I believe that the smile you get or the thought that is produced will stay with you much longer. The back story to this little volume is that it began as an exercise in formatting. It had been awhile since I had formatted e-books and decided that I needed to update my skills. I assembled my favorite ten stories from “Five Minute Fiction For Free” and went to work. I decided that I should also use CreateSpace, a print on demand (POD) publisher available at Amazon. Much to my surprise, formatting for print required a minimum amount of cussing, all things considered, and I’m confident that the next project will go more quickly and smoothly. I appreciate all the support that you, my faithful readers have given me over the years. There are a couple of other projects I am working on for this year and I will keep you posted about them. 4 Responses to Time Is A Pool: A New Book from Me! Hey AUSTIN! ….. Yes, please put us down for an autographed copy of Time is a Pool. We will be at S.G. tonight, Wednesday night (not Friday, we’re working at the Village at Orchard Ridge, one-couple-only job) … and, of course, we will be a Club Shenandoah on Saturday. Thank you so much, Bonnie. Looks as if we won’t connect until Saturday, but I’ll have it with me! Just ordered my copy from Amazon and you can autograph it when you visit us in FL. Be happy to, Al! Thank you.